If you wondered why there haven’t been updates at in2watches.com lately, the answer is here. 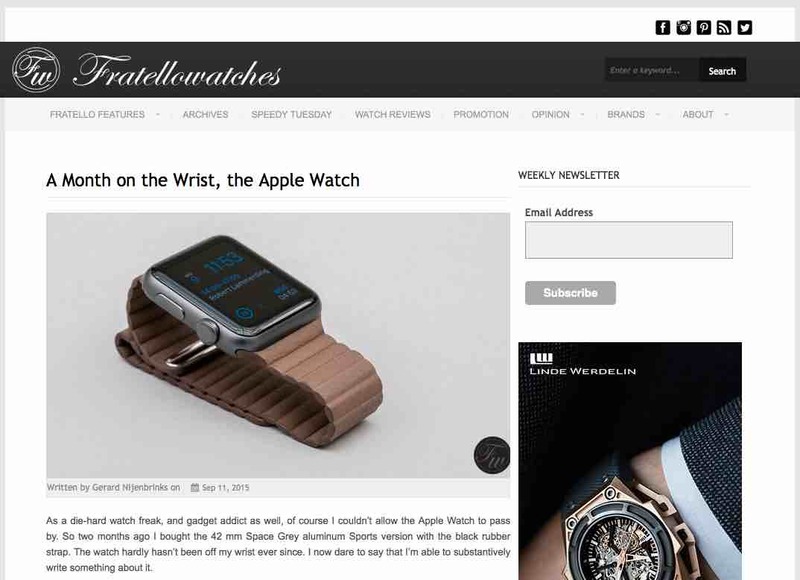 I’ve teamed up as a contributor with Fratellowatches. Fratellowatches is currently the 4th largest blog on wristwatches in the world and I was honored to have the possibility to join long-time watch friend Robert-Jan Broer and photographer Bert Buijsrogge. Meanwhile we grew even further; Hungarian born Germany based Balazs Ferenczi and mainly dwelling at 30,000 feet American Michael Stockton, have joined forces with Fratellowatches as well. So if you would like to continue reading my horological musings, head over to www.fratellowatches.com. There’s loads of interesting stuff to read, we publish at least daily. This entry was posted on September 11, 2015 at 09:58 and is filed under #womw, all, events, front page, my latest, news, opinions, reference, uncategorized. You can follow any responses to this entry through the RSS 2.0 feed.